I’ve never had a concussion. But since the election, I’ve felt that woozy disorientation and dull pain I associate with what it must feel like when your brain has been bruised. Yesterday, I picked up a gift from my dear friend Tara, Jane Kenyon’s A Hundred White Daffodils. I can’t put it down. Each essay, poem, interview helps me breathe. Kenyon lived with depression yet fought through it to write poems that lift me up. Venture to Maria Popova’s Brain Pickings for a link to Kenyon’s wise words for poets and writers. Kenyon’s Peonies as Dusk notices intense beauty. Time to “draw a blossom near,” cherish, and support the peonies in our world. Today the world is wet. Our desert basin is accumulating rain water; brown hills are growing a green stubble, and my xeriscaped backyard has come to life. Thank you, Donna, for hosting the last Poetry Friday of 2016. Read other posts at her blog, Mainely Write. 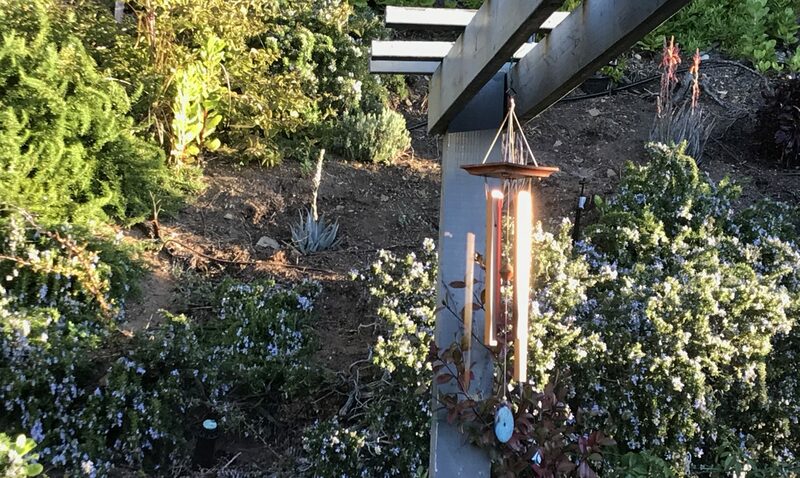 Thanks for sharing some of Jane Kenyon and your beautiful succulents. Glad your desert is getting irrigated. Happy New Year! How fantastic to a New Englander, blinking against the white ice a nor-easter deposited. Those succulents. Ahhhh. Xeriscaped is an awesome word. It brings to mind something outer space-y. Your orange tipped succulents sure fit that image! I too love Jane Kenyon’s poetry… simple but profound. This sounds like a gift that came at just the right time for you. 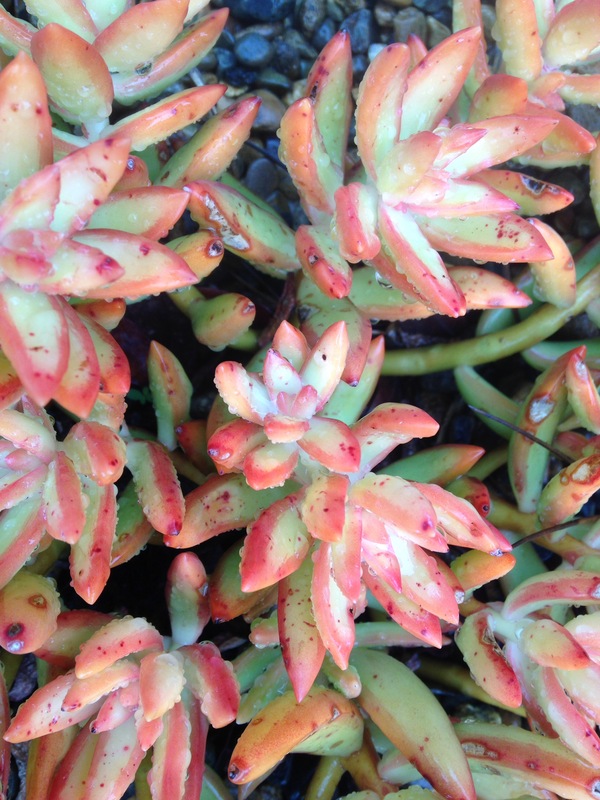 I also love your photo of glistening succulents. I hope 2017 returns you to equilibrium. Take care! and your haiku with image is a beautiful accompaniment! I think many of us have been feeling the same way – stunned, confused, wanting to hide away from a world that frightens us. But there is always hope, and in poetry there is courage, strength and healing. Here’s to a brighter new year for all of us. I am staggered by your own luxuriance, Julieanne–what a photo, what a haiku, what a post. Concussed indeed. Let’s keep moving to find out where the beautiful scents are coming from, and Happy New Year! Peonies are among my favorite flowers, and they do “send out light”. Thank you for sharing this gorgeous poem (from a book that is on my shelf; I will have to reread it) and your “orange tipped succulents”. They are a balm to my icy world. Happy New Year, Julieanne! I love this poem, Julieanne, and peonies. I asked the gardener to plant one for me in my garden and it radiates joy when it pops. Your backyard is certainly ready for the plants to thrive.